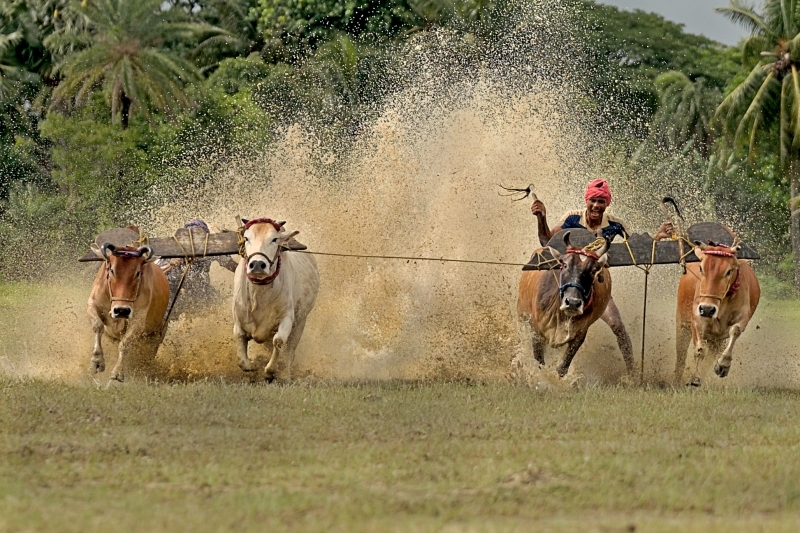 This is call Bullrace (moi charra) in west bengal(rural culture and rural sports). The annual cattle race in Canning, Kolkata is one of the most horrifying examples of torturing animals for the sake of entertainment. The cows are kept on empty stomachs to make them run faster. They are also injected with drugs and painkillers to facilitate their strength. Moreover the men bite the tails of the cows to steer them in the proper direction.